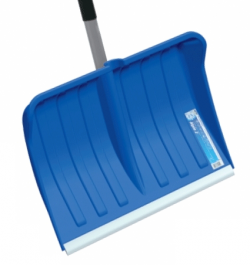 Welcome to the Snow Shovels UK Company website. Snow Shovels UK reserves the right to update or modify these Terms and Conditions at any time without prior notice. For this reason, we encourage you to review these Terms and Conditions whenever you purchase products from us or use our Web Site. When you place an order on our website we give you an Order Reference Number and details of the products you have ordered and we will send the same details to you in an email. We will send you a second email to confirm process your order. Acceptance of your order and the creation of a legally binding contract between us will only occur when we send you the second e-mail, which will contain details of how your products will be delivered to you. Alternatively, we may decline all or part of your order for any reason, in which case our second e-mail will tell you so. Delivery must be to an address in mainland UK only (England, Scotland and Wales). Deliveries to Devon, Cornwall, Dyfed, Powys, Isle of Wight, Grampian and Scottish Highland are at additional cost. You will be informed of any additional cost prior to despatch of your order and you may cancel the order if you consider these additional charges are unreasonable. You may be entitled to free delivery and this will be shown at the checkout stage. A signature is required on delivery and you or someone authorised by you will need to accept the delivery. In case of delivery to certain locations such as hospitals, airports, hotels, ships and other business premises, the signature of any person authorised to accept delivery on behalf of the organisation shall be accepted as proof of delivery. Should delivery be refused at the delivery address and re-requested for another date, we may make an additional charge for the second delivery. It is your responsibility to ensure the correct number of packages as shown on the delivery consignment note have been delivered. Shortages must be noted on the delivery consignment note and you should notify us of shortages within seven days of delivery. If packages look damaged on delivery we recommend the contents be inspected before accepting and signing for the delivery. We deliver 5 days a week - Monday to Friday. We do not normally deliver on Saturdays, Sundays or public holidays. We endeavour to deliver within 30 days of order confirmation unless agreed otherwise, but do not accept liability for any failure to deliver within that time. Orders received on Saturdays, Sundays or public holidays and orders received after 1pm on weekdays, will be processed the next working day. We accept Visa, Visa Delta, Visa Electron, Maestro, and MasterCard cards.Please note your transaction will appear on your bank statement as monies paid to "upthegardenpath.co.uk". - Discounts will only be available on order values over the amount stated in the offer. - Discounts are only valid until the date published. All credit/debit cardholders are subject to validation checks and authorisation by the card issuer. If the issuer of your payment card refuses to, or does not for any reason, authorise payment then you will be notified of this at the checkout stage. In assessing your request for goods or services, we may use your information for the purposes of the prevention and detection of fraud. We use the Protx secure online payment gateway service that has achieved the highest level of compliance under the Payment Card Industry Data Security Standard (PCI). Protx adheres to the most stringent levels of fraud screening, ensuring that your details remain secure throughout the transaction process. Any item you intend to return must be kept in good condition whilst in your possession and is best returned with the same packaging as it was delivered. You must take care to ensure that returned items are repackaged correctly so as to avoid damage or loss of parts in transit. We will not accept return of an item if it has been altered by applying chemicals or paints to the surfaces or by altering or customising it in any way that could be deemed as you using or treating the item as your own. All rights, including copyright, in this website are owned by or licensed to Leeds Project Management Ltd. Any use of the site or its contents, including copying or storing it or them in whole or part, other than for your own personal, non-commercial use is prohibited without the permission of Snow Shovels UK. Certain links in this site will lead to websites that are hosted by our partners or other providers. When you activate any of these you will leave our website and we have no control over, and will accept no responsibility or liability in respect of, the material on any website which is not under our control. We ask for your name, telephone number, home address, and email address. When a purchase is made on our site, in addition to the above, we also ask for a delivery address, and payment method details. We may obtain information about your usage of our Web site to help us develop and improve it further. Your data will enable us, and our processors, to fulfil your order and to notify you about delivery details and changes. We will also send you email newsletters from time to time to inform you about our products, services, promotions and special offers. If you do not wish to receive email newsletters simply unsubscribe from the email at any time. You have the right to request a copy of any personal information we hold about you. To do this, simply write to us at the address below, enclosing a cheque for £10 payable to Leeds Project Management Ltd to cover our administration costs.